You’ve been to Walt Disney World or Disneyland. Or maybe both! You are looking to take another Disney vacation but maybe with a bit of a twist to change it up this time. Most Disney-loving families turn next to a cruise vacation aboard Disney Cruise Line or a trip to Hawaii to stay at Aulani, Disney’s resort on the island of O’ahu. I hear a lot from friends and readers who aren’t sure whether Aulani or a Disney cruise is the best next step in their Disney travels. I’ve had the good fortune to try both with my young kids these last few years. Both are travel experiences I’d highly recommend. Although this post is called Disney Cruise vs. Disney Aulani, there really isn’t a winner and loser here. Rather, one trip or the other may simply be better suited to the ages of your kids or the way your family likes to travel. What I hope to do is point out those sweet spots where you are going to get more out of doing one of these trips compared to the other. But if budget allows and you have the interest, I sincerely hope Disney-loving families eventually do both! Before I dive into the differences between these two vacations, let’s start with the similarities. Both are luxury-level (translation: expensive) Disney vacations. If you are used to staying in a value resort or an inexpensive off-property hotel at Disney World and doing Disney on the cheap, you probably aren’t going to be able to do that with either Aulani or Disney Cruise. To be sure, there are certainly ways to reduce the costs of both Aulani and DCL. But be realistic about the total bill you are going to be facing with either of these vacations. A view like this doesn’t come cheap! Both Disney Cruise Line and Aulani offer a vacation experience that is very different from the Disney theme parks. While a trip to Disney World or Disneyland means a lot of walking and logistics navigating theme park lines day after day, you’ll find a totally different daily schedule on an Aulani or DCL vacation. The footprint and scope of both Aulani and the Disney Cruise ships are smaller. There are no attractions to ride. You can plan much less if you prefer. If you want to spend a day lounging by a pool or visiting a spa, there’s time for that. In fact, that’s really the point of these vacations. Of course, there’s amazing Disney service and lots of Disney entertainment and characters to fit into your day if you wish. But there’s far less theme park rat race. So now on to the differences that matter between these two kinds of vacations. What factors you should consider in picking which one is right for you? Location, location, location. For families with limited vacation times and sometimes limited patience with little ones on planes, minimizing travel time is often an important factor in making vacation decisions. The majority of Americans are going to be much closer to a Disney Cruise Line vacation than an Aulani one. I’m a California girl and can get to Hawaii on an easy 5 hour flight. As a result, Aulani feels “close” to me. For fellow West Coast families, the logistics of getting to Hawaii can be quite simple (and may get even simpler and cheaper once Southwest Airlines launches its Hawaii flights very soon). For families in the Midwest or on the East Coast, however, visiting Aulani is more of a challenge. The trip can require multiple plane connections, maybe a redeye flight, and some serious jet lag and time zone changes. That may not be how you want to spend vacation – especially with babies and toddlers. I get it. In that case, Disney Cruise may be a smarter choice. DCL currently has four ships, with three more on the way. Chances are one is stationed closer to you. Itineraries currently include the Caribbean, Europe, Alaska, the West Coast of Mexico (Mexican Riviera), and several more. Within just North America, cruises set sail out of Florida (both Port Canaveral and Miami), Galveston, New Orleans, San Diego, Vancouver, and New York City. Do You Want a More All-Inclusive Experience? Dining with the characters costs extra at Aulani. If you are the type of traveler who values the all-inclusive model, Disney Cruise Line is much closer to an all-inclusive vacation than Aulani. Food and a number of on-board activities are included in the cost of a cruise. There are extras like drinks, shore excursions, and tips to watch out for, but they are fewer and farther between. Aulani, on the other hand, is much more like a standard resort vacation. You pay for the room, but all of the food and drinks are an additional expense. Aulani has number of free activities like the amazing pools and beach (and kids club – more on that below), but most of the premium experiences cost extra. Does Anyone in Your Family Get Motion Sickness? This may seem like a small consideration but it matters in a big way. There is a small portion of the population for whom cruising is just not a realistic vacation choice thanks to motion sickness or related health issues. Cruises may not be a dream vacation for travelers who suffer from motion sickness. I have a good friend who recently took her 8 year old son on a Disney Cruise for the first time only to discover that his stomach was just radically incompatible with cruising. He was terribly seasick on the ship for four days straight. In fact, they headed straight to the ER to rehydrate him after docking. He didn’t have any history of other types of motion sickness so this reaction was quite an unfortunate surprise. It’s impossible to know for sure whether any of your family members will be affected by cruises until you take one. The vast majority of people who don’t already have known motion sickness or related problems will be fine on any cruise (I personally have vertigo and have no problems even on small ships in big waves, although my father with Meniere’s disease can no longer cruise). But if this worries you and you have not cruised before, I’d steer clear of a long open water DCL itinerary as your first trip. It’s not much of a vacation for anyone if even one member of the family feels poorly. Do You Have a Big Family or Need more Space? If you have more than two kids, you are probably already used to the challenge of standard hotel rooms. Most of them are built for four. Upgrading to larger accommodations or even booking two rooms brings major increased costs. Disney Cruise cabins are a tight squeeze even for a family of 4, but bigger families will require even more. Big families will likely find that both Aulani and Disney Cruise Line present the usual challenges. As you can probably imagine, space is a little easier to come by on land than on sea. Larger suites and condos are ultimately available at Aulani. Aulani has some more flexible options for larger families because of its abundance of Disney Vacation Club (DVC) villas (Related: Find out how we rented at Aulani using DVC points and saved big or rent from David’s Vacation Club Rentals yourself). One bedroom villas sleep up to 5 people. Families of 6 or more will need to upgrade to the two or three bedroom villas. To be sure, these premium rooms do not come cheap. But the villas have full kitchens and washer/dryers that make them very convenient for larger families. Master bedroom and spacious bath in Aulani’s 1 bedroom villa. Disney Cruise Line does have some options that work for bigger families as well. DCL ships have a number of cabins that sleep 5. They are more limited in supply and may sell out before the rest of the cabins do, so early planning is required. Many larger families often opt for booking two connecting cabins for more space. This limits the cabin types available to you depending on the ship, but can work well. And on cheaper itineraries like those in the Caribbean, this strategy often isn’t prohibitively expensive. Do You have a Baby or Toddler under 3? One thing that is amazing about both a Disney Cruise Line and an Aulani vacation is that kids clubs for kids ages 3-12 is completely and totally complimentary. (Truthfully, it is built into the cost of the room/cabin. But I prefer to celebrate it as free.) Disney Cruise Line offers two connecting kids clubs, the Oceaneer Club and Oceaneer Lab. Aulani’s kids club is called Aunty’s Beach House. Here’s the big difference. All the DCL ships also have a nursery aboard in addition to the kids clubs. This childcare option isn’t free (it’s currently $9 per child per hour), but it means there is childcare for children as young as 6 months old. If you have a baby or toddler who is younger than 3, that means that there is no Disney-operated childcare option for you at Aulani! This may not matter much if you have a kiddo with separation anxiety or who you wouldn’t leave with a babysitter or in a nursery regardless. But if you are like me and often use kids clubs and look forward to couples time on vacation, this difference between Aulani and DCL can be a crucial tie-breaker. We personally waited to go to Aulani until each of our kids turned three so we could maximize the free childcare. Entrance to Aunty’s Beach House, Aulani’s kids club. If you have several kids, you may not be able to wait to go to Aulani until each one is old enough for Aunty’s Beach House. Often waiting until the littlest is old enough means the older child has aged out of being interested in the kids club offerings. But for many families, keeping that age minimum in mind gets you more for your money. I don’t personally have teens yet so I can’t speak to what they think about Aulani and Disney Cruise Line. So, I asked two well-traveled friends who do, Kimberly of the blog Stuffed Suitcase and Allison of All For the Boys. Kimberly and Allison have both been to Aulani and have cruised aboard Disney Cruise Line with their teens. Kimberly has girls, ages 14 and 12 and Allison has boys ages 16 and 14. Their teens loved both trips, citing the safe atmosphere of both vacations where their parents could let them roam and explore independently. But it seemed that Disney Cruise Line edged out Aulani overall from the teen perspective. Why? The abundance of night time programming and the exclusive tween/teen clubs, Edge and Vibe. At Aulani, there is programming for teens but it isn’t as robust. The teens don’t have a dedicated space except for one night a week when they take over Aunty’s Beach House for late night fun. Allison’s sons mentioned that they thought Aulani might be a better fit for an extended family vacation where families had their own activities and agenda. But they thought DCL was better when traveling with just their immediate family because it was easier to make and meet friends on board. As someone who has been lucky to travel internationally since I was a child, I sometimes forget that most Americans don’t have passports! At $145 per person, they are a big cost that can really add to a trip’s budget. You obviously don’t need them at all for an Aulani vacation (for the geographically challenged – yes, Hawaii is a US state). But they are needed or at least highly advised for most Disney Cruise Line itineraries. It’s smart to have a passport even for closed loop Caribbean cruises like this one to Castaway Cay in the Bahamas. Technically, you may be able to make do with a passport card if you are taking a closed loop cruise to many Caribbean countries, Canada or Mexico. Passport cards are just $65. But I don’t recommend these at all. If your ship is diverted to a new port due to weather, you might not be able to get off. It’s also risky to travel internationally without a standard passport book in the case of a medical or family emergency. So, if you and your kids are not yet passport holders, definitely factor the cost of a passport into your Disney Cruise Line vacations as you make your travel decisions! Do You Want to Do More than Disney? One of the reasons many vacationers choose an Aulani or Disney Cruise Line vacation is that they offer so much more than Disney travel. They come with tried and true Disney service and amenities that families can trust to meet their travel needs. But they aren’t merely a theme park vacation. They are both much more focused on the destination. It is certainly possible to do either of these vacations and stay entirely within the Disney bubble if you wish. You can go straight from Honolulu Airport to Aulani and never leave until it is time to go back to the airport. If you choose a DCL itinerary that doesn’t have many (or any) ports of call other than Castaway Cay, you’ll have a mostly Disney-centric experience as well. But it’s also possible to explore a lot more on either of these vacations. Aulani is a short skip and a hop away from Pearl Harbor. You can spend a day driving to the North Shore or visiting Waikiki or hiking Diamond Head. You can even combine a few nights of an Aulani vacation with a stay elsewhere in the Hawaiian islands to both save money and see more sights. And even if you do stay only within the resort, you’ll still learn plenty about the local culture. Disney has worked diligently to make Aulani authentically Hawaiian in its offerings. It’s more than just character meals and pixie dust. With Disney Cruise Line you can quite literally see the world. Opt for a tropical vacation with a Caribbean or Mexican Riviera itinerary. Or you can explore culture in Europe or experience outdoor adventure in Alaska. The numerous options make a DCL trip even more of a destination-focused vacation that just happens to have magical Disney touches. Whatever you decide between Aulani or Disney Cruise Line, I’m fairly confident you will experience a memorable family vacation. Let me know which one your family is choosing (or has chosen) first and what you thought! Disney Cruise Line & Aulani Vacation Deals! If you aren’t renting DVC points through David’s Vacation Club Rentals for the Aulani villas, consider using Trips With Tykes partner, Get Away Today, to book your vacation package with additional perks. Get Away Today specializes in Disney travel and knows Aulani and Disney Cruise Line well (in addition to their bread and butter, Disneyland) so you can take advantage of their expert advice while snagging some deals. For DCL, they’ll be able to snag you the best in on-board credits. For Aulani, they currently have a deal up to 30% you can book by February 13, 2019 for stays January 6, 2019 – March 21, 2019. Just be sure to mention Trips With Tykes if you call! Disclosure: Aulani, a Disney Resort & Spa, and Disney Cruise Line has provided my family with complimentary and/or discount accommodations and activities during some of our vacations to Aulani and aboard Disney Cruise Line. As always, all opinions are my own. I would love to return to both, but prefer the variety of food and activity options on DCL, so will probably return to do that first. I like this guide, Thanks! I’m booked on the ten night Hawaii cruise in 2020. 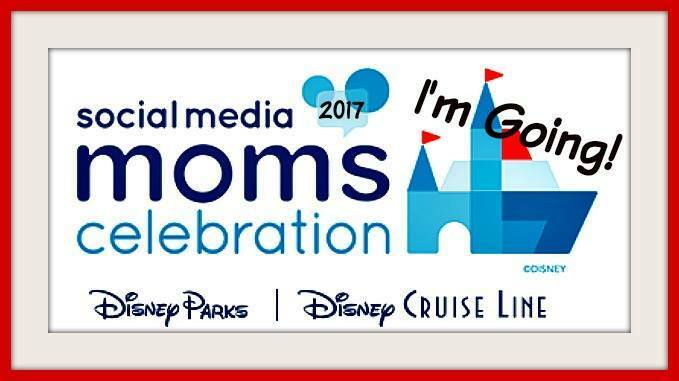 This will be my 8th Disney Cruise. Since this will be my first time to Hawaii and my husband and I are in our 60’s we felt this might be a good time to do the cruise and perhaps come back to visit Hawaii years after. It was a great article, thank you.